Jason and I have been married for just over five years. We've left the newlywed phase, started our family, bought our first home and we continue to pass new milestones every day. With each stage we've passed through, I've always remembered the one piece of advice that my great-grandpa gave us right before he married us: never say "I told you so." We live in an age where being right trumps everything else. It's so easy to make your point and prove someone else wrong with just a quick Google search. But, when we're quick to be right and point out how wrong everyone else is it hurts relationships instead of building them. Being right doesn't have a place in marriage. Sure, one person is bound to be right in a situation, but pointing it out and making your spouse feel bad for being wrong certainly won't help build a strong marriage. There are varying degrees of "I told you so." 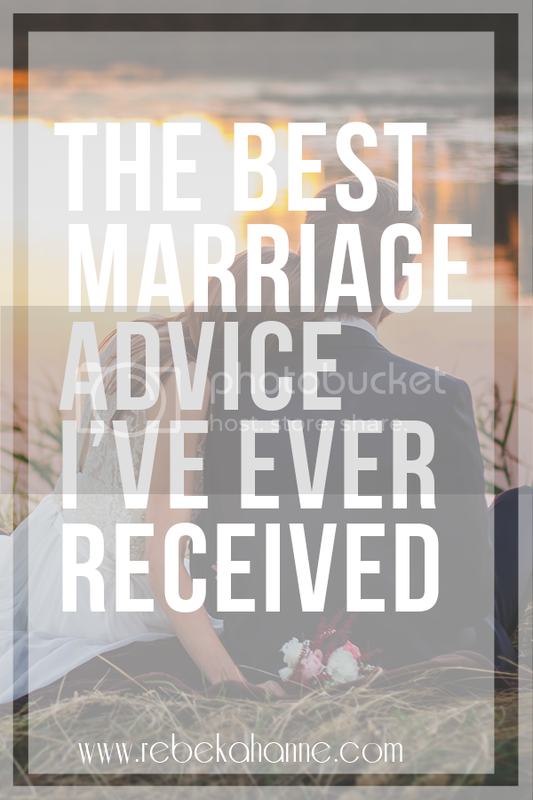 Little arguments, like trying to remember what time a store closes, ultimately won't hurt your marriage if you accidentally let those four little words slip, but it's the bigger arguments you really have to watch out for. Like, telling your husband that your child won't go back sleep if your husband picks him up, or that if your husband doesn't do the dishes your way they won't get clean. Those are the situations where saying "I told you so" after his failure start to hurt your marriage. Saying "I told you so" doesn't seem like a big deal, but it slowly chips away at your spouse's confidence and feelings because what you're really saying is, "Your way is wrong and the only way to accomplish such and such task is to do it my way, the right way." Ouch. People like to have their thoughts and feeling heard and considered. When you tell someone what to do, how to do it and then belittle them when they do it wrong it just makes them feel inferior. And no one should feel inferior in a marriage. Marriages are meant to be partnerships. You're supposed to learn and grow together not pick each other apart. When the occasion does arise when I'm right I try to ask myself the following questions before I shout my right-ness from the rooftops. How would I want Jason to treat me if I were in his shoes? Will making a big deal out of being right make anything better? Will I embarrass Jason by announcing "I told you so!"? If the answers to these questions aren't positive then I don't say anything. I know I wouldn't want to be put down for trying something or thinking one way, and I don't want to do that to Jason either. Instead of saying "I told you so" the best thing you can do is drop the issue completely. I'm a really proud person and when I'm wrong I don't want to think about it anymore. Even a well intentioned encouraging word can sting sometimes. Letting the issue go will defuse the situation and help everyone's egos recover. My marriage isn't perfect; Jason and I don't agree on everything. Sometimes my ideas prevail and sometimes Jason has the better plan. I'm not perfect and there are plenty of times when I've tried to rub Jason's nose in my rightness, but whenever I do that it ends up causing more problems than our initial disagreement. When I do let those four little words slip out of my mouth I instantly regret them because I don't want to cause my husband more harm. I want to build him up and saying "I told you so" doesn't help me do that.